Home / Vintage Toys / Giocattoli / Hasbro Takara 1988 MINI CAR / ROBOT TRANSFORMERS small very rare! 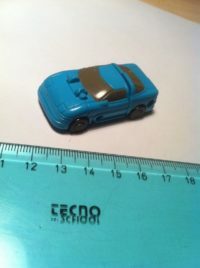 Hasbro Takara 1988 MINI CAR / ROBOT TRANSFORMERS small very rare! QUELLO CHE VEDETE E’ QUELLO CHE COMPRATE!